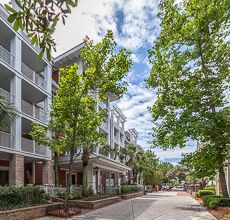 The Village of Baytowne Wharf offers guests the opportunity to be located in the heart of the resort activities, while secluded in the luxury of their Sandestin condo rental. The condominiums are peppered with quaint shops, charming eateries and lively nightspots which make up the Village. Hip happenings abound, with street performers, concerts, festivals and family-friendly attractions that are fun gatherings for Sandestin guests to attend. The Village is also close to the Baytowne Marina, Tennis Center, Jolee Island Nature Park and just a tram ride from the beach. 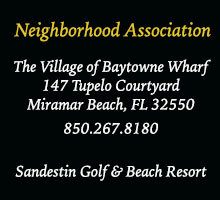 For more information about Sandestin Golf and Beach Resort lodging accommodations or to reserve your Baytowne Accommodations call (800) 622-1038. Bahia adds contemporary flair to the accommodations at the Village with its South Beach inspired motif and expansive views of Baytowne Marina. Bahia features luxury Destin, Florida condominium rentals located next to Lasata and across from The Grand Sandestin. The one-, two- and three-bedrooms are fully furnished with a either a kitchenette (studios) or full kitchen, living and dining areas. 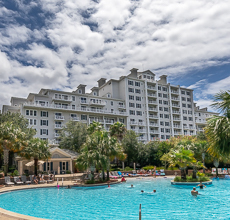 The boutique-style condos also offer access to The Grand Sandestin pool and fitness center. 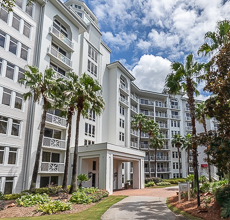 Elation, the newest luxury condo rentals in the Grand complex, is located next to The Grand Sandestin in the Village of Baytowne Wharf. The contemporary one-, two- and three-bedroom Florida vacation rentals are fully furnished with a either a kitchenette (studios) or full kitchen, living and dining areas. 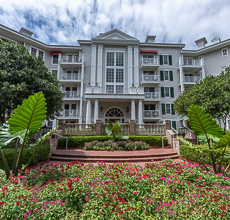 The resort's signature luxury condominium hotel, The Grand Sandestin is the grand dame of accommodations. 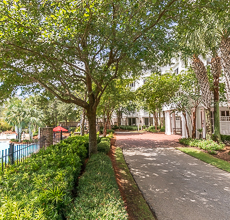 With Southern-inspired architectural design and detail, the Grand features a sweeping two-story veranda, lushly landscaped gardens and soothing water fountains surrounding a restful poolscape. Guest rooms in the Sandestin vacation rentals are fully furnished with either a kitchenette (studios) or a full kitchen, living and dining areas. Lasata welcomes guests with graceful plantation-style architecture and easy elegance. These Florida vacation rentals are fully furnished with studio-one-two-and three bedroom options. 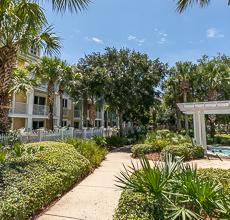 Adjacent to Baytowne Conference Center, Lasata features covered parking and access to The Grand Sandestin pool and fitness center. 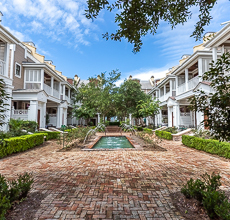 The luxury townhomes within the neighborhood of Le Jardin, are nestled right in the heart of the Village of Baytowne Wharf. These three-story townhomes offer a unique style with exquisite decor, appliances, and furnishings. Most of the units overlook a beautiful courtyard with flowing fountains and lush landscape. Le Jardin townhomes are 3 bedroom 3.5 bath with 10ft ceilings and a beautiful patio to sit on and enjoy the scenery; not to mention each room having it's own small private balcony. Each unit also has a King Master suite complete with built in fireplace between the bedroom and master bath. The Market Street Inn overlooks both the bustling Village and the Garden Terrace. The studio-one-two-and three bedroom luxury condominiums are spacious and fully furnished. Perfect for the family or the private getaway, guests enjoy access to an outdoor fireplace, barbeque grill, hot and cold spa and cardio center located on the terrace. For those who want to be a little closer to the action after the sun goes down, Observation Point is the ideal place to stay. These elegant one-, two- and three-bedroom units form the gateway to the Village and situate you in the heart of tons of dining, shopping and entertainment options. The accommodations are fully furnished with either a kitchenette (studios) or a full kitchen, living and dining areas. Perfect for families or business travelers, Pilot House features balconies and patios that overlook the resort or the Village Garden Terrace. The one-, two- and three-bedroom Village condominiums are fully furnished with either a kitchenette (studios) or a full kitchen, living and dining areas. Guests enjoy access to the Village Garden Terrace featuring an outdoor fireplace, barbeque grills, pool, cardio center, hot and cold spa and covered parking.